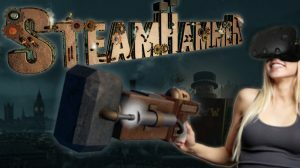 HTCVive Games – Wave Shooter – Brave Shooter or Grave Shooter? Read any review on the best tethered virtual reality headset to buy and the HTC Vive is always up there as one of the premium head mounted displays on the market. However, the HTC Vive is arguably the most expensive VR devices compared to PlayStation VR (PSVR) and the Oculus Rift which may lead anyone looking to get into VR gaming to question what is the best offering in terms of game content. Of course it should be acknowledged that VR is not just about gaming, far from it, there are plenty of amazing VR experiences, interactive and non-interactive to immerse yourself in, but most users are likely to be swayed by the richness of next generation gameplay and this is where the industry may have a problem to overcome. Take a look at any list of “Best VR games” and it is dominated by one particular type of game, the Wave Shooter, they are extremely popular and the biggest sellers so far, but take a further look at VR discussion forums and you will see there is somewhat of a backlash from many in the VR gaming community claiming that there are simply too many wave shooters. So, what exactly is a wave shooter? Well, having asked the question recently on a Facebook group it turns out that there is no clear definition that gamers can agree on. It can probably only be universally agreed that in its basic form, a wave shooter is a First Person Shooter (FPS) where the player stands in place and shoots endless waves of enemies. So what if the player can move to other fixed points or freely roam the environment, is that still a wave shooter? Does a ‘wave shooter’ still remain labelled as such if it is rich in story or contains advanced strategy or puzzle solving? 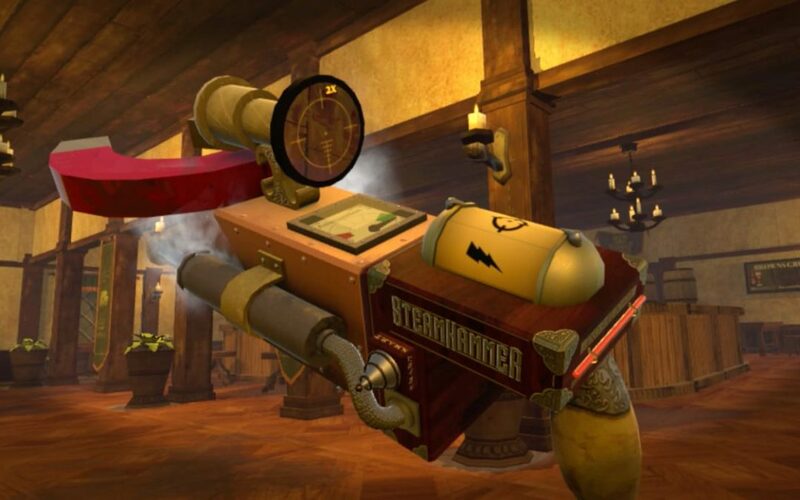 What if the weapons involve more than just shooting like GamestormVR‘s SteamHammerVR – The Rogue Apprentice where the user has the choice of unique combos of weapons like Hammers, Saws, Tesla Ray, Steam and a Magnet as well as a Sniper Rail Gun? Indeed in a world where everybody is a critic it seems that a large number of ‘shooter’ titles are getting this negative label despite many being far more rich in depth and gameplay than their most basic rivals. So, in a brand new, unproven, small yet growing market, what would make game developers risk making something other than a wave shooter centric game when people clearly enjoy playing them? 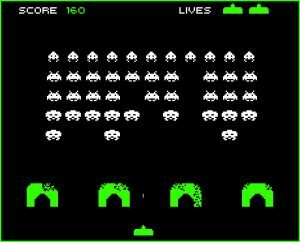 Space invaders is probably the original wave shooter and, adjusting for inflation has raked in more than $6 billion in revenue over the decades since 1978! Space Invaders – The biggest selling wave shooter in history! Wave Shooter – Brave Shooter or Grave Shooter? A VR experience of any kind should be exactly that, an experience. Where does it take you? 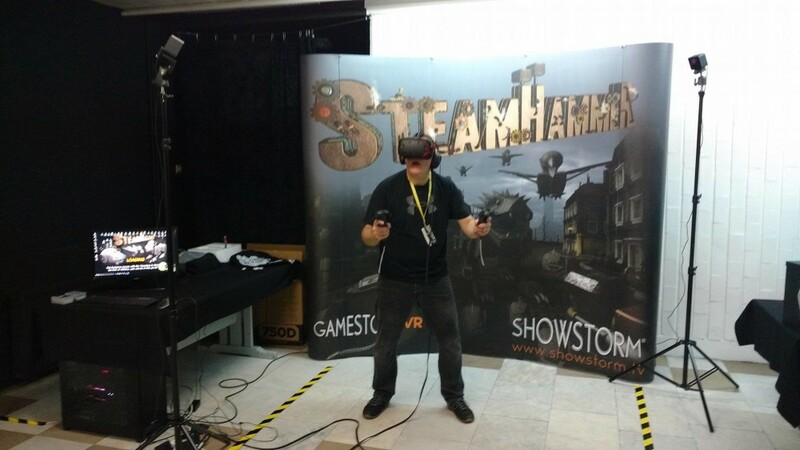 into the future or indeed back in time like SteamHammerVR‘s Victorian London? Does it have proper narrative with a story arch? Does it introduce you to new ways to play a game? Is it challenging? Does the audio completely immerse you? Is it beautifully designed with attention to detail such that you want to explore the world over and over? Does it spike your emotions and make your heart race? But most importantly…is it FUN? MASSIVE UPDATE – V1.4.0 – Shocking Development!